AS many as 1,500 more women could be dragged into the cervical cancer scandal, the Dáil has heard. 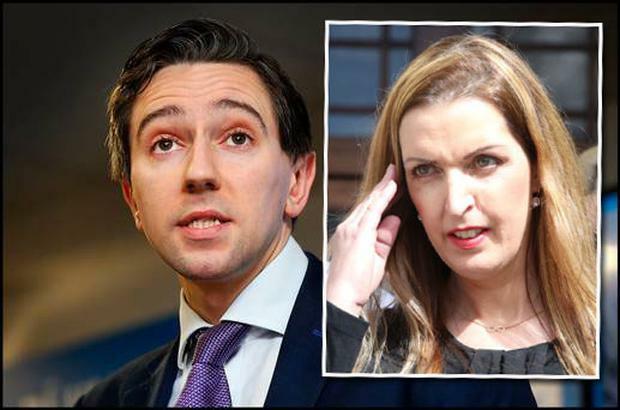 In what has been described as a “bombshell”, Health Minister Simon Harris revealed that a “potentially considerable number of cases” where women developed cancer were not subjected to an audit. However, the Serious Incident Management Team (SIMT) sent into CervicalCheck since Vicky Phelan settled her case has today discovered that not all cases were examined. Tonight’s revelation suggest another 1,500 will now have to be studied. Mr Harris told the Dáil this evening that a “potentially considerable number of cases” are now being uncovered by a special team he sent in to investigate CervicalCheck. “I have to inform the House of some emerging information that I have received late this afternoon from the Serious Incident Management Team (SIMT). “While I had previously been advised and it had been commonly understood that the CervicalCheck clinical audit covered all cases notified by the National Cancer Registry, I have been informed this afternoon that this is not the case,” Mr Harris said. “While CervicalCheck has audited all cases notified to it, I have been informed that a potentially considerable number of cases will not have been subjected to an audit of their screening history. Opening his Dáil statement, the minister recognised the contribution of Vicky Phelan in bringing the scandal to public attention. “We are all here I think we can agree because Vicky Phelan spoke out. I recognise that to do so cannot have been easy for her or her family. But her courage and tenacity has done a great service to the women of Ireland and her actions will ultimately lead to improvements for all,” he said. Mr Harris defended his own handling of the controversy, saying that a briefing note supplied to him by officials on April 16 suggested women were being informed of any errors in their treatment. “In an appendix with background information, it outlined the clinical cancer audit process including that all current and historical clinical cancer audits had been communicated to treating clinicians in 2016 and that, more recently, women are informed of this audit process and have the option to request information on the outcomes of these reviews. “It was not clear until after the details of the case became public that this process was not ensuring that women were informed and once I became aware of that I ordered immediate change,” he said. The minister said he will take “every action possible to ensure that an incident such as this does not happen again”. “I acknowledge the very difficult circumstances that Ms Phelan and her family are now in, and I would like to thank her for her bravery in bringing this to light. "We must do all we can to ensure that women continue to attend for smear testing. We acknowledge things went wrong but we are determined to put things right." The Labour Party’s health spokesman Alan Kelly described the revelations as a “bombshell”. “We need to deal with the bombshell you are just having dropping in here today,” he said.